Nightmares of being raped as a teenager have haunted Christy for years. She’s tried to run and hide from them to no avail. Over the years pain has taken its toll, until she finally has enough and moves back to her hometown of Moneta, Virginia to be with the woman she loves. After being away for six years, facing her fears and being in Heather’s arms again gives her hope for a normal life. Once she realizes that running away doesn’t really solve everything, Christy deals with the mental fears as well, seeking professional help. Everything begins to fall into place. Christy is with Heather and doing what she loves most, teaching. Christy has reasons to smile again…until a horrendous hate crime is committed which specifically targets homosexuals. The roller coaster ride that Christy and Heather will unwillingly have to experience will be like nothing they have ever encountered before. Men, who are nothing short of monsters continue their rage by kidnapping Christy and taking her off into the hills. Being held captive in an old hunting cabin, her earlier nightmares dwindle in comparison to what she has to endure. Christy is faced with a life or death situation. With her fears becoming reality, can Christy overcome the odds stacked against her, or will the monsters kill her before she can return to Heather’s loving embrace? 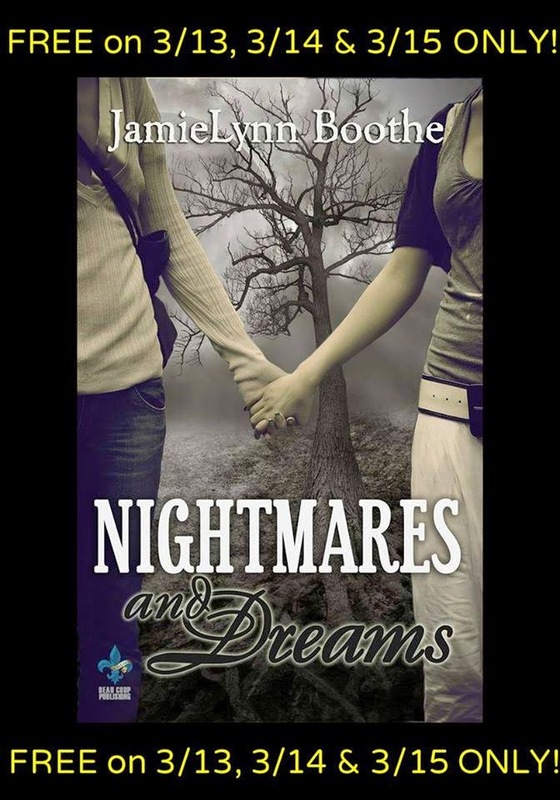 JamieLynn Boothe is a Virginia native and a lover of southern style foods. Currently living in Connecticut he writes his novels about love and suspense, hoping to not only thrill the reader, but to also touch their heart and soul. This is his first novel from the Nightmares and Dreams Trilogy, although he is working on other great works for your enjoyment as well. He is with Beau Coup Publishing. JamieLynn is currently single and a cat lover.